As a reader of this newsletter, you're probably a big believer in the idea that what you ingest now can affect your health decades into the future. That's why you look for the best supplements, stay away from harmful ingredients (such as Trans fats), and eat a wide variety of fruits and vegetables. That's wise, as what we consume can indeed have long-term benefits. Unfortunately, the reverse can also be true — ingesting products that are dangerous can also harm our health long after we've stopped consuming them. That seems to be particularly true for people who grew up drinking pesticide-laden milk. At least that's what a study in the American Academy of Neurology's journal Neurology says. This study followed 449 Japanese-American men for over 30 years. 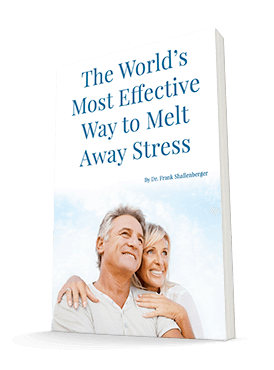 The men had an average age of 54 when they began participating in the study. And they agreed to let the researchers follow them until death and then perform autopsies on them to help further medical knowledge. One area that the researchers were particularly interested in was an area of the brain called the substantia nigra. A loss of brain cells in this area is associated with Parkinson's disease and can begin occurring many years before symptoms of the disease appear. The researchers were able to examine the brains of the participants. In 116 of the brains (in the substantia nigra), they found residue of a pesticide called heptachlor epoxide. This pesticide was commonly found in milk until it was banned in the early 1980s. The nonsmoking participants who reported drinking more than two cups of milk a day had 40 percent fewer brain cells in the substantia nigra than those who drank less. Interestingly, there was no difference in smokers. Nevertheless, 90% of those who drank the most milk did have heptachlor epoxide residue in their brains, compared with 63% of those who didn't drink milk. 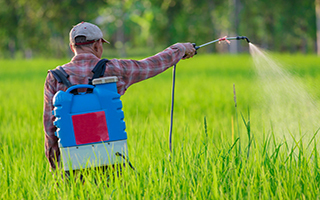 While this study doesn't prove that this pesticide causes Parkinson's disease, it does show a strong association. And since other studies have linked different pesticides to Parkinson's, this association is worth paying attention to. Unfortunately, you can't take a time machine back to before the 1980s and stop drinking pesticide-laden milk. And if you think you did drink some, definitely don't start smoking — that carries enough risk on its own. But there are some steps you can take today to help reduce your risk of Parkinson's disease, especially if you think you may have been heavily exposed to heptachlor epoxide when you were younger. First, try to stick with organic products as much as possible today. You don't want to make your exposure to pesticides any worse than it needs to be. Second, make sure you're taking a supplement with both vitamin C (1,000 mg daily) and vitamin E (800 IU daily). These two vitamins work together synergistically to help fight the effects of pesticides and prevent debilitating diseases, like Parkinson's. Finally, the herb curcumin also can help prevent Parkinson's, as it's an anti-inflammatory and an antioxidant stimulator. I like the turmeric phytosome curcumin Meriva extract found in Reduloxin. I would suggest taking two tablets a day. The things we consume do have long-term effects, but consuming more helpful things than harmful can help us stay healthy for years to come. R. D. Abbott, G. W. Ross, H. Petrovitch, K. H. Masaki, L. J. Launer, J. S. Nelson, L. R. White, C. M. Tanner. Midlife milk consumption and substantia nigra neuron density at death. Neurology, 2015; DOI: 10.1212/WNL.0000000000002254.